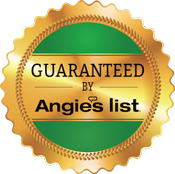 Our 100% Satisfaction Guarantee To You... If for any reason you are not completely satisfied with the work we performed, Or if a spot re-appears a week or two later... PLEASE CALL US IMMEDIATELY and we will come back and re-clean the area for you! If you are still not satisfied, you can have a full refund. Evergreen Clean is a full service carpet care company, providing exceptional service to Long Island Communities for over 30 Years! We are a small family business and take pride in our reputation, experience and knowledge of the services we provide. 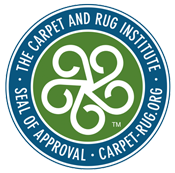 Our services include Area and Oriental Rug Cleaning, Carpet Cleaning, Upholstery Cleaning, Window Treatments, Tile and Grout Care, Pet Odor Removal, Outdoor Cushion Cleaning and Carpet and Fabric Protection. Our office and rug cleaning plant is located at 44 Sea Cliff Avenue in Glen Cove. Please stop by if you are in the area and pick up a FREE bottle of our carpet spotter! You can also purchase our home spotting products and drop off any rugs or hard to clean items you might have. 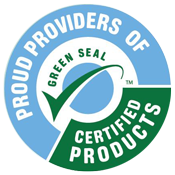 At Evergreen Clean, we believe that there are many health benefits of carpet cleaning. Properly maintained carpet can improve your health, indoor air quality and act as a filter holding soil, debris and other contaminants, while preventing them from contaminating the quality of air. Routine carpet cleaning and vacuuming is part of a healthy lifestyle. This keeps dirt, entry ways, mats and high traffic areas under control throughout the year, all while extending the life of your carpet. Thank you for taking the time to visit our site! We hope that you will choose Evergreen Clean for all your cleaning needs.